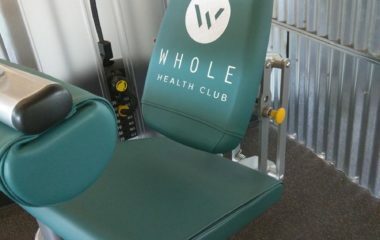 Almost every commercial business goes to great lengths to ensure that it’s equipment is not ‘out of order.’ As it relates to upholstery this problem was almost unavoidable, until now. 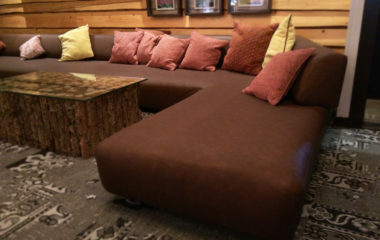 Advantage Mobile Upholstery comes right on-site and in a fraction of the time can make your equipment like new and often make the vinyl better than new. 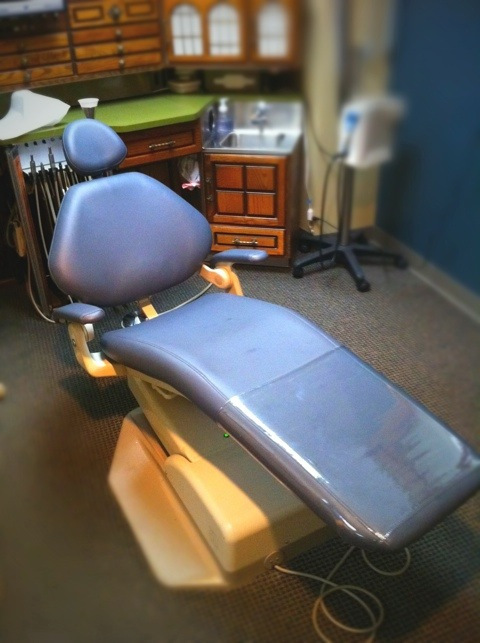 This dental chair was previously covered in a low durability vinyl. 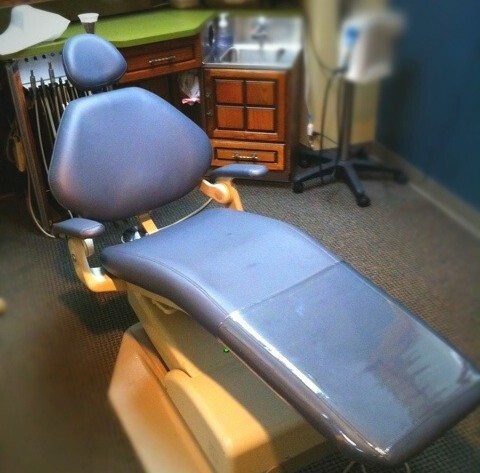 Due to the diligent care of the staff here at Midtown Dental that material lasted nearly 11 years! 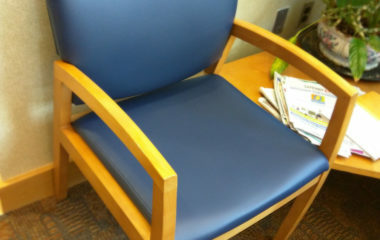 The vinyl we’ve used to recover the chair is nearly 7.5 times as durable. Just imagine how long these beautiful chairs will last now! 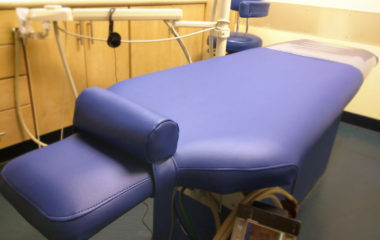 A cost effective solution for upholstery maintenance on medical equipment and in a fraction of the time!